Dr. Pearston is a licensed clinical psychologist with experience providing therapy and assessment to children, teens and young adults in a variety of settings. In her clinical work, she strives to provide a safe, understanding and collaborative environment for clients and families to meet their goals. Dr. Pearston is a generalist who feels comfortable treating a wide range of mental health concerns, but has a special interest in working with teens who are struggling with anxiety, depression, or coping with a traumatic experience. She also has experience in behavioral medicine, helping teens cope with medical conditions such as diabetes or chronic pain. 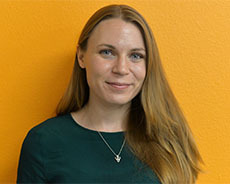 An east coast native, Dr. Pearston relocated to California for her pre-doctoral internship training at Monterey County Children’s Behavioral Health. She subsequently completed her postdoctoral residency at Kaiser Permanente, South Bay Consortium.